Here is the biggest giveaway we’ve seen in a really long time, or quite possibly ever. 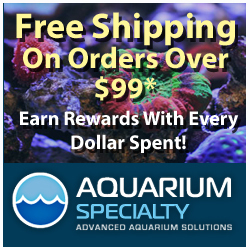 Innovative Marine is finishing out one of their busiest years to date by giving away a full-blown, high end aquarium setup. 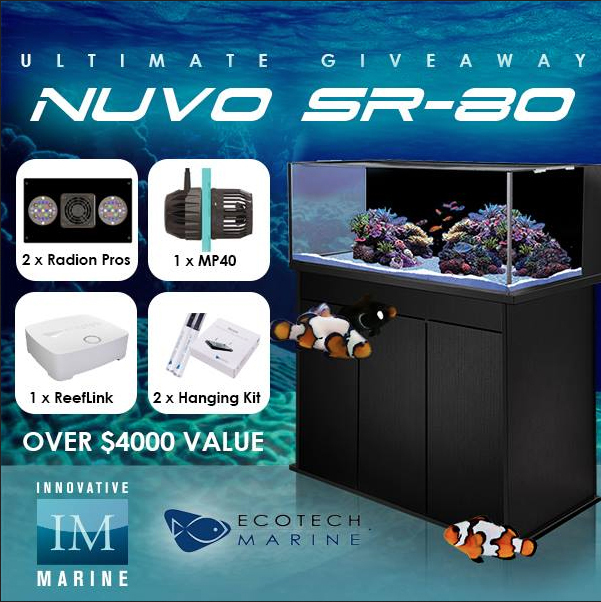 The extremely generous giveaway centers around the newly released Nuvo SR-80 all-in-one aquarium, and it comes complete with a 40″ tall stand and a whole slew of EcoTech Marine goodies. Besides the tank and stand, the giveaway includes a pair of Radion XR3ow Pro LED fixtures, a single VorTech MP40 ES, a ReefLink wireless controller, and a Rail Kit and pair of Hanging Kits for the light fixtures. The total value of the giveaway tops $4000, and it consists of every piece of equipment imaginable to get the tank up and running. To participate in the giveaway, all you have to do is head on over to the Innovative Marine Ultimate Aquarium Giveaway announcement on their Facebook page and do a little clicking. There are three official ways to enter the contest. Simply “Like”, “Comment”, and/or “Share” the giveaway post, and in January 2014 a winner will be randomly chosen from the mass of entries. There is also a fourth way to enter the contest, for those of you looking for the best chance possible. By clicking “Like” on the EcoTech Marine Facebook page, you get one more entry.